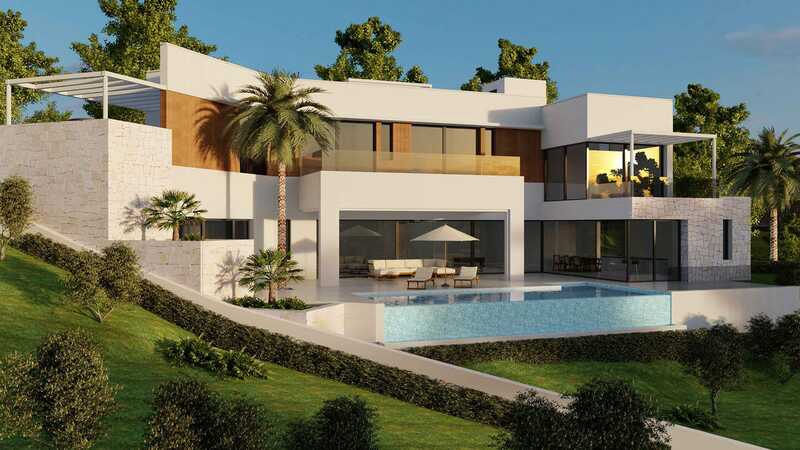 This new villa with expected completion date summer 2019 is located on the outskirts of Marbella city in the urbanisation of Rio Real East Marbella, near one of Marbella´s oldest and most prestigious golf courses, Rio Real Golf. 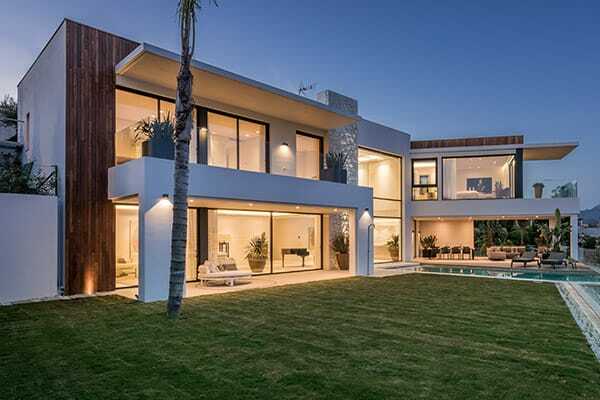 The three-storey villa is built on a hillside, facing South with magnificent views to the sea and African coastline on clear days. 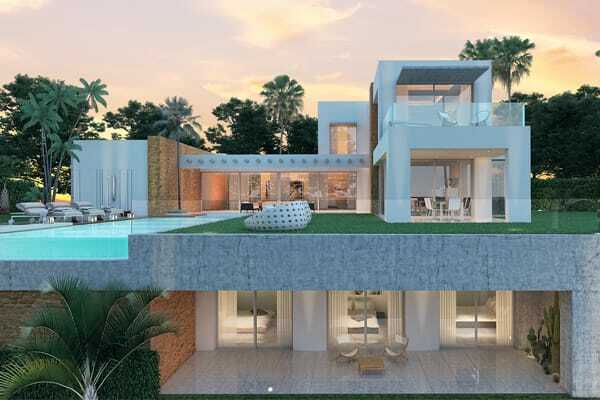 The property is designed to maximise the sunlight, a U-shaped layout provides all the rooms with views while the patio blends perfectly into the infinity pool – adding a seamless outlook to the exceptional panorama beyond. Materials are of the highest quality – including natural stonework and wood cladding on the façades, to add warmth and distinctiveness. 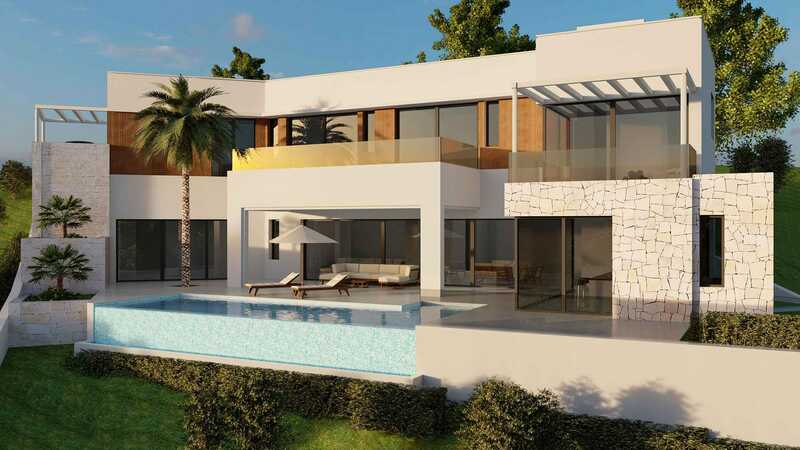 A great new villa with superb views in a consolidated, upmarket residential area. 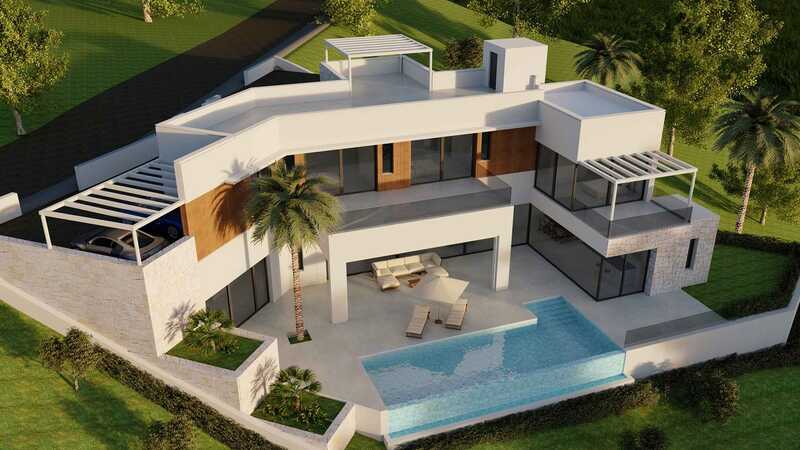 Parking for 2 cars, basement with multi-use room like gym, home cinema, wellness, etc.